Keeping your immune system in tip-top condition is important all year round but especially in the traditional cold and flu season. But there are some easy ways to help ward off any bugs flying around by making some simple swaps to your diet and upping your nutrition. 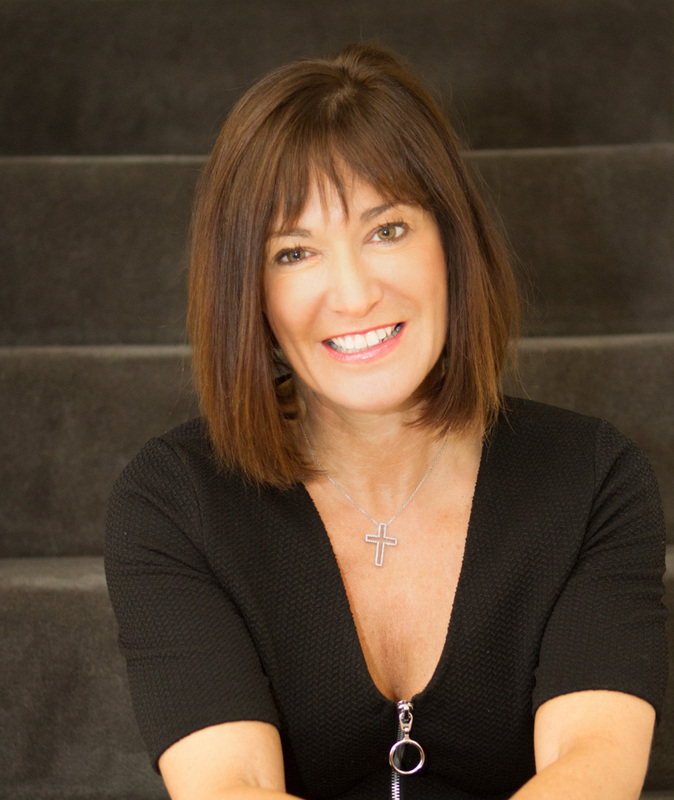 Clinical Nutritionist, Suzie Sawyer suggests some easy tweaks to your diet that will rev up your immune system and stop those bugs in their tracks! SWAP ORANGE JUICE FOR A GINGER ‘ZING’! Many of us drink orange juice in the morning in the belief that this will help support our immune system. The reality is that much of the vitamin C content is lost in processing and the fibre content is also reduced. It can also give your blood sugar levels an unwanted surge. 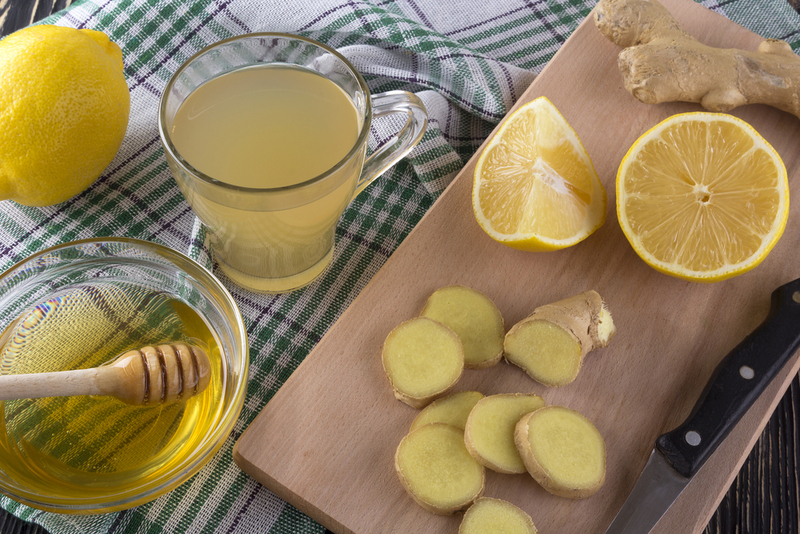 A better option is to make a delicious ginger drink which you can keep in the fridge and which will boost your immune system every morning. Ginger is an antioxidant which helps to protect the immune system, plus it directly helps eradicate those nasty cold viruses. It’s also a natural antimicrobial which means it helps fight any invaders. This drink is easy to make; grate some ginger into a jug with the zest and juice of two lemons (you can use bottled lemon juice), together with some Manuka honey and water. Manuka honey is different from other honey – it has an amazing nutritional profile, plus it’s also a great immune booster in its own right! This is a delicious drink that will really wake up your immune system and taste buds every morning. Do you tend to add sugar to tea, coffee and cereals? Enjoy baking biscuits and cakes? If you’ve got a sweet tooth then trying to combat cravings can be tricky. As well has having a detrimental effect on your waistline, sugar also impacts negatively on your immune system. 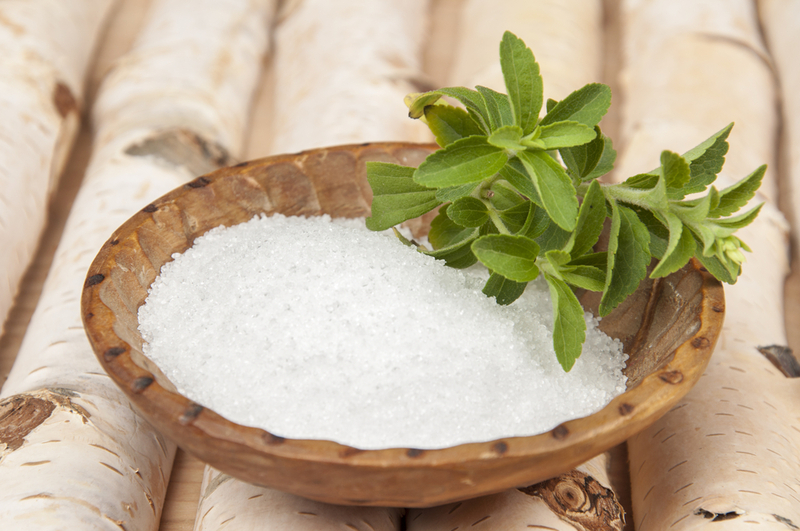 So why not swap to xylitol which is a natural sweetener and is readily available in the supermarkets? You use it just as you would sugar, but the great news is it has a minimal effect on blood sugar levels so it’s not going to encourage cravings. The wonderful array of colours provided by fruits and vegetables deliver so many positive effects on the immune system that it makes sense to include as many as possible in your diet. So try swapping different snacks for colourful fruit and veg throughout the day for maximum health benefits. It’s not as difficult as you might think. 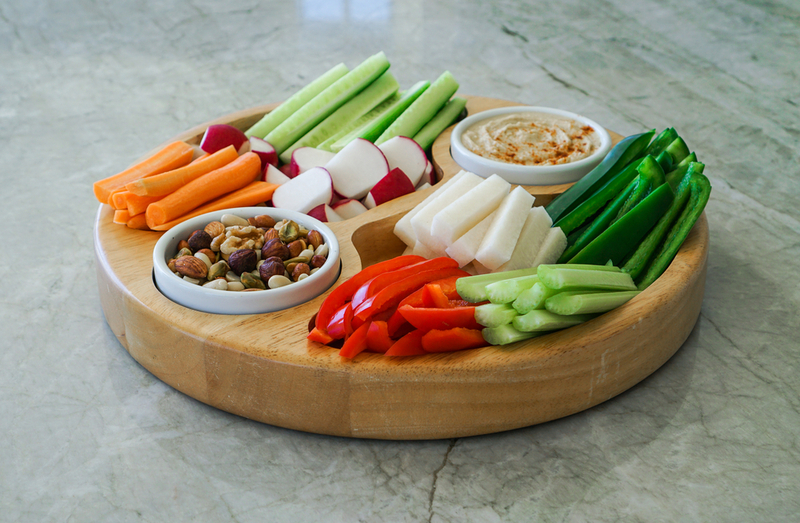 Even if you don’t take all your lunch to work you can still increase your ‘colour’ intake by bringing a raw carrot, some sticks of cucumber and chopped peppers to work; these make a great colourful snack or side with your lunch. If possible, why not leave some hummus in the fridge at work? Beetroot hummus is packed with antioxidants and tastes delicious, making a great dip for your raw vegetables. Why not grab a tub of blueberries on your way to work? Blueberries are a superfood that really rev up the immune system, plus they don’t have too much impact on blood sugar levels, and, therefore your waistline. Just like carrots, sweet potatoes are packed with beta-carotene which turns into vitamin A and helps to soak up those damaging free radicals. This in turn helps bolster the immune system and may even help stop the ageing process. A medium-sized sweet potato contains around 40% of your daily vitamin C requirements plus some iron which is great for the immune system, as well as energy levels. 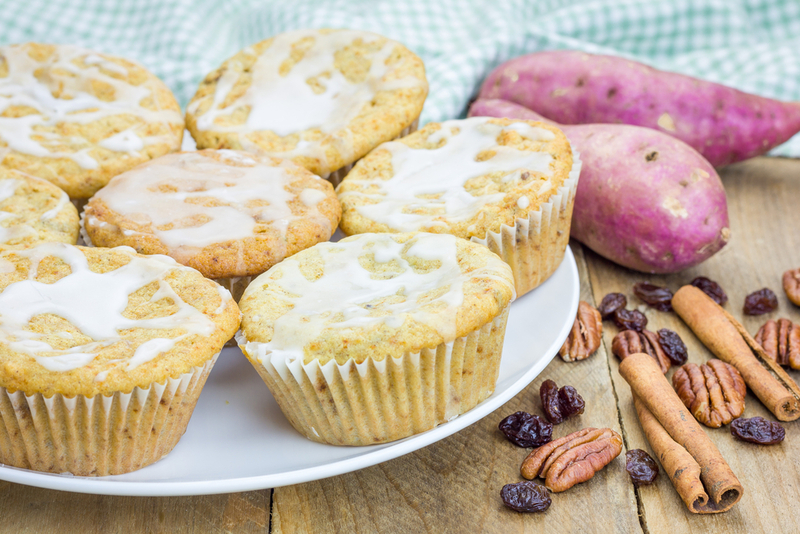 Even better you can make some deliciously tasty and healthy breakfast muffins with sweet potatoes. All you need is a couple of eggs, some xylitol, cooked sweet potatoes, plain flour, cinnamon, baking powder and some chopped pecans (which will also add some protein to keep you feeling fuller for longer). Just combine the dry ingredients and the wet ingredients separately, then blend all together and fill some muffin cups with the mixture. Bake in the oven and in 25 minutes, you’ll have a delicious, on-the-go breakfast! Your digestive tract is packed full of bacteria – some good and some bad. The more good or friendly bacteria you have the better; friendly flora deliver many positive health benefits, but specifically boost the immune system. You can feed these good bacteria by drinking green tea and Cat’s claw tea and sprinkling flaxseeds onto your morning cereal. 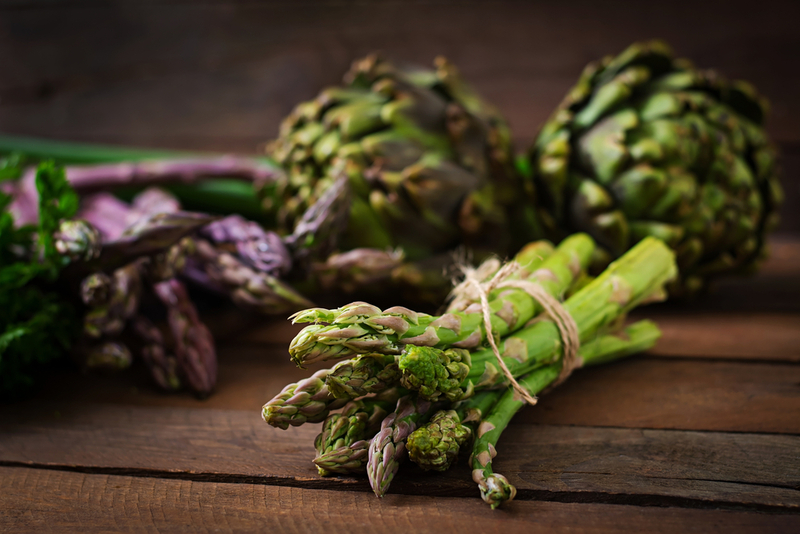 Why not add more Jerusalem artichokes and asparagus to your diet which also boost these good bacteria? Eating live yoghurt is another great way of helping the good guys in your stomach. Top tip: if you’ve had to take antibiotics recently, it’s good advice to take a course of probiotics for at least a month to replenish the good bacteria and ensure you’re not at more risk from nasty invaders. So why not try these easy nutrition tips and give your immune system a helping hand!